Google "photosynthesis" and you'll see a long list of links to everything from Wikipedia to PBS to the University of Illinois, with plenty of YouTube videos thrown into the mix. To streamline this somewhat random page of results for both educators and learners, a group of education content providers is teaming up to create a better defined framework for education-related searches online. In a move that brings together for the first time traditional content companies and free, open content sites, the Association of Educational Publishers (AEP) and Creative Commons (CC) are partnering to improve search results online the through the creation of a metadata framework specifically for learning resources. That means teachers looking for content -- much of it aligned to Common Core standards -- will be able to more easily find information they need. At least that's the hope. 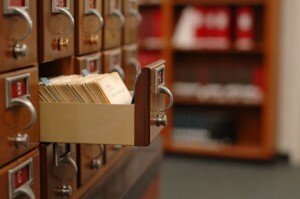 "This can do for students what John Dewey did for readers 150 years ago when he created standardized card cataloging." "Easy access to high-quality learning resources is the end goal of this project," said Charlene Gaynor, CEO of Association of Education Publishers at the Context in Content conference today. Many of the big-hitters on both sides of the spectrum are involved, including Houghton Mifflin Harcourt, the Institute for the Study of Knowledge Management in Education (ISKME), Curriki, McGraw-Hill Education, Monterey Institute for Technology in Education (MITE), Pearson, Promethean, Scholastic Inc., and SMART Technologies, BetterLesson. “Educators and students miss out on education resources available online because it is takes too long or is too hard to find appropriate content,” said Catherine Casserly, CEO of Creative Commons in a press release. "A common metadata schema will make this search more efficient and effective so educators can quickly discover the educational resources they want, including those they can reuse under Creative Commons licenses." Today's announcement follows on the heels of Google, Yahoo, and Microsoft's Schema.org, a collaboration between the three major search engines that's billed as a "major step forward in the evolution of search." Likewise, this collaboration is meant to "create a learning explosion," said Shep Ranbom of ISKME. "This can do for students what Dewey did for readers 150 years ago when he created standardized card cataloging." The partners are hoping to have the function up and running in between six months to a year.